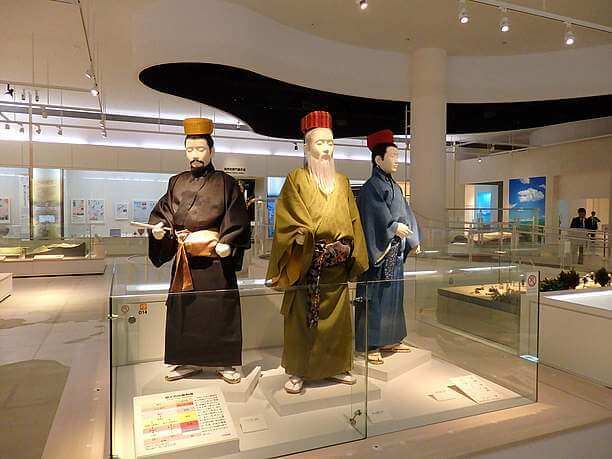 Learn about history and culture at the Okinawa Prefectural Museum! 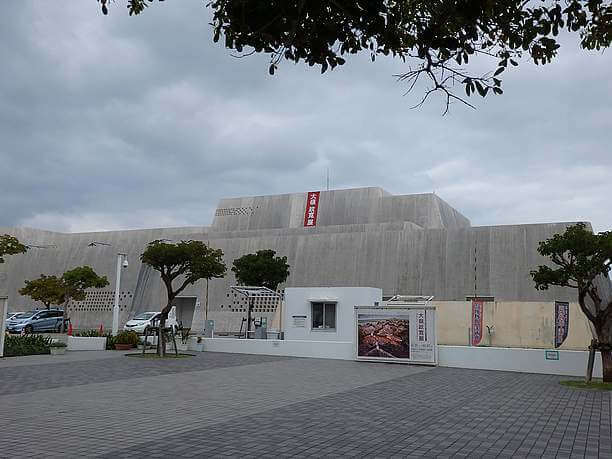 From the YUI rail omoromachi town station, it is a 10-minute walk to the Okinawa Prefectural Museum of fine arts(沖縄県立博物館・美術館). This impressive building has the distinctive appearance of a Ryukyu dynasty age castle. This facility opened in 2007 and functions as a Museum of natural history, folklore, and arts and crafts. 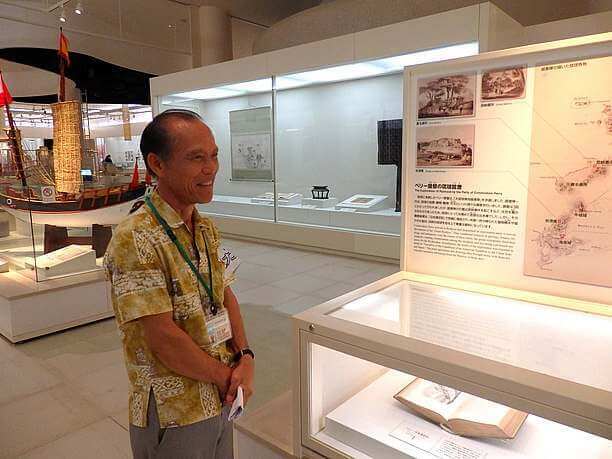 It has a gallery to exhibit works of Okinawan writers and artists. 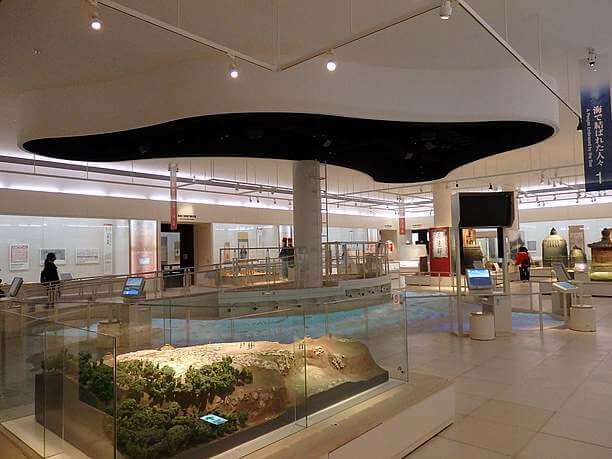 The museum has a permanent exhibition showcasing items from prehistoric to modern history. 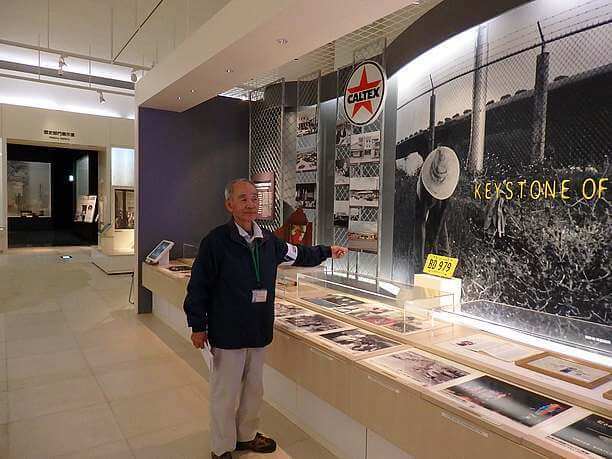 Featured is a comprehensive exhibition to introduce the nature and history of Okinawa prior to World War II. 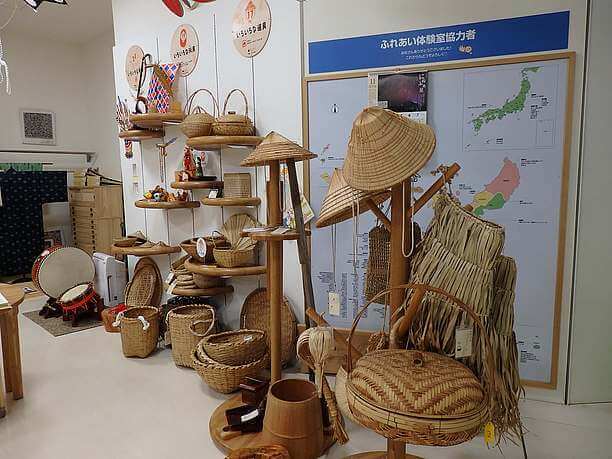 The exhibitions are departmentalized, divided into natural history, archeology, arts and crafts, history, folklore, and Okinawa history and culture. You can feel a sense of time travel. 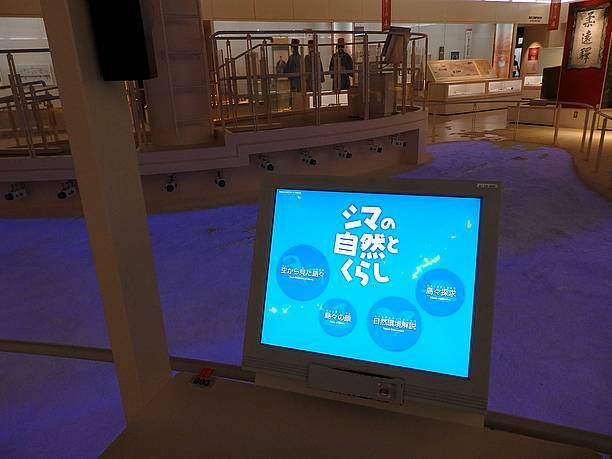 This permanent exhibition is good to look at before going to tour such places as Shuri Castle(首里城). Experience the unique subtropical island history. 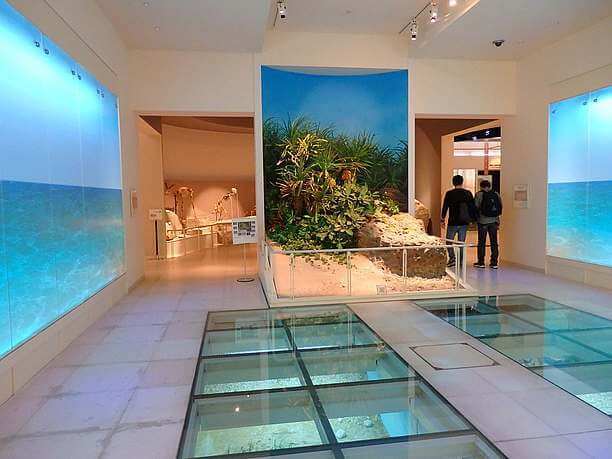 As you enter the Okinawa Prefectural Museum art gallery exhibition space you will see in the back on the left side, images of the beautiful sea of Okinawa and its coral reef. Okinawa island prefecture consists of a number of large and small islands. This exhibit is designed to display the nature of its subtropical characteristics and the characteristics of the terrain and creatures in various forms including pictures, models, and PC experiences. Now, let’s start the journey that traces the history of Okinawa! Volunteer guides tell us the highlights! Okinawa gradually became a power center with many influential people. At first, they were an independent power but later all of Japan became united. Japan’s history and culture are quite interesting. The Museum’s volunteer guide’s commentary on the exhibits will further enhance your understanding of all the interesting points. Volunteer guides will provide information on Wednesdays, Fridays, and Sundays between 2:00p.m. and 5:30p.m. A volunteer staff is waiting in the exhibit areas ready to respond to any questions you might have. Their general description lasts about 5 or 10 minutes. For example, the day I was here, the guide (Katsuko Taba) explained to me the origins of the Ryukyu Kingdom. There was a brave man (King Shohashi) who united the Ryukyu kingdom. His name is remembered because they named the Okinawa southern half marathon after him. One of the main attractions of this museum is referred to as the “kingdom of prosperity” area. Here on display is the original Bankoku shin ryonokane. This important piece of the history of Ryukyu was built in 1458. 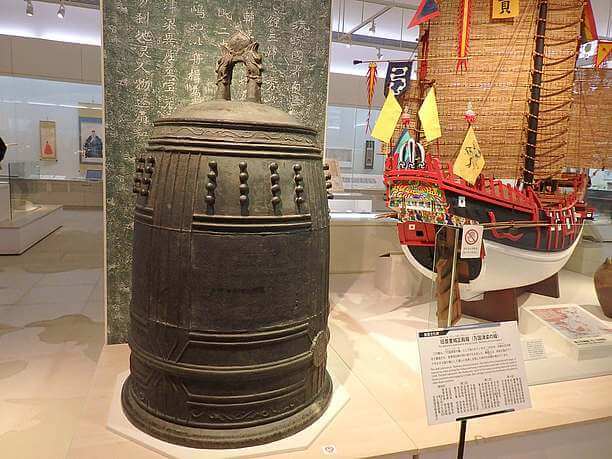 The bell is designated a “nationally important cultural property.” The Shuri Castle has a replica on display. There is also on display a 1/10 scale model of a “shinkou-sen” (trade ship) representing the active trade that went on during the Ryukyu era. 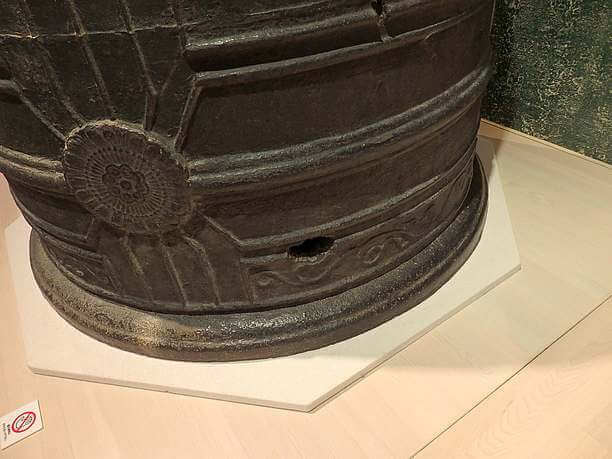 If you look closely you will notice that in the lower part of the bell remains traces of where the bell was hit during the war. By looking at this kind of detail, you get a better feel of the history of Okinawa. Michiko Shimabukuro was the volunteer guide in this area. 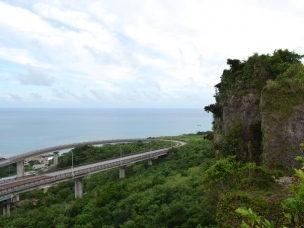 Travel from the Ryukyu Kingdom to present day Okinawa! The area will expand toward the end of “Ryukyu rule of Satsuma Kingdom” and the decline and fall of the Kingdom of Ryukyu dynasty. It continues into the modern day Okinawa Prefecture. Taking us from the pre-war days to what it was like during the war and post-war days including the occupation by the United States. This history was explained to me by the volunteer guide Sueyoshi Hirokatsu. Many of the volunteer guides are elderly local people who can tell of the national history sprinkled with their own experience of the post-war story. Have a personal experience of Okinawa History! 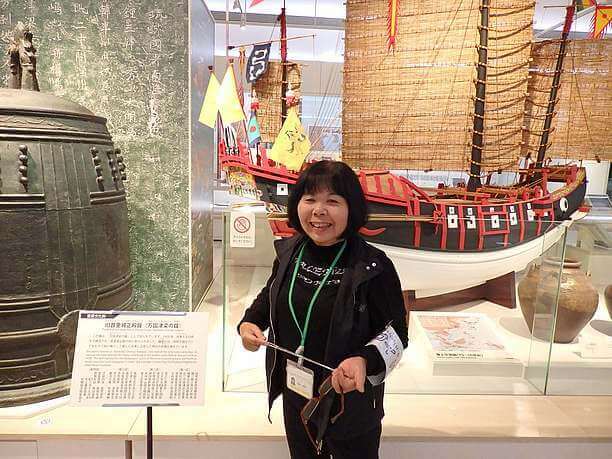 By listening to the guide tell the story, while carefully looking at the documents on permanent exhibition at the museum you will have a “realistic” experience of Okinawan history. 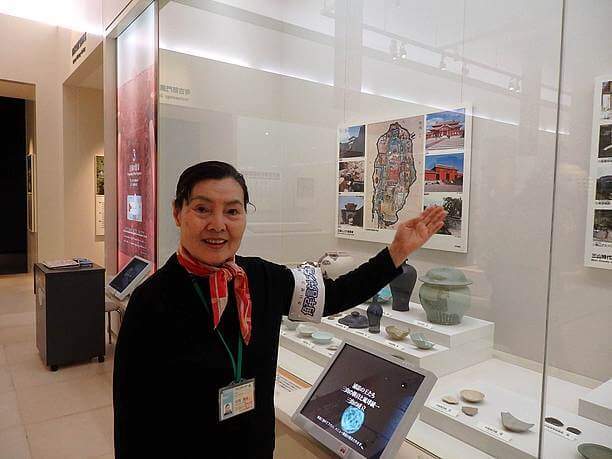 Between the comprehensive exhibition of the course of history in the natural history department, the archaeological department, the arts and crafts department, and the folklore section there hardly enough time to see it all. If visiting Okinawa on a day that you are not blessed with good weather, you might try to spend the whole day at the museum. 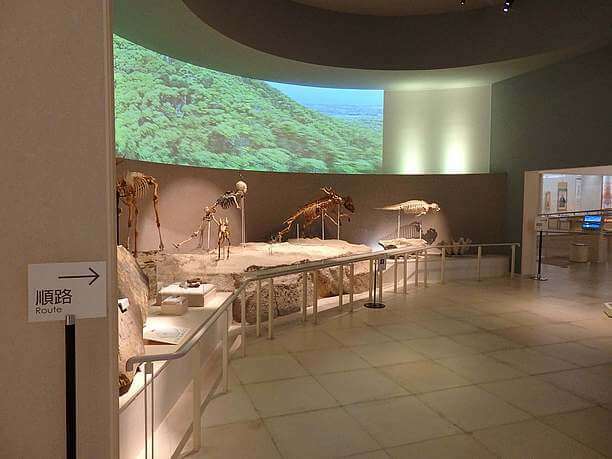 By the way, at the front entrance of the museum, there is a “hands-on” experience room. Here they have tools and instruments you can handle as well as Ryukyu costumes that you can wear. It is available free of charge and can be enjoyed by the whole family. 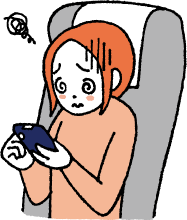 The entrance fee for the permanent exhibition room for adults is 410 yen. 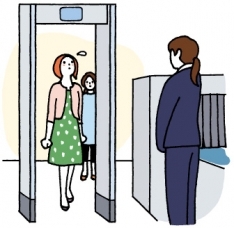 If you have a Yui Rail ticket you will receive a discount rate of 330 yen. Wednesday, Friday and Sunday volunteer guides are available. In addition occasionally on a Saturday, there is a free back yard tour. Call ahead to find out which Saturday for that month. In addition to the permanent exhibition from time to time there are special exhibitions that I also recommend you see. The museum permanent exhibition has so much to see. So take your time and look carefully. If you do there is a large variety of things to discover. ※ admission allowed up to 30 minutes before closing. Closed On Monday at the end of the year. 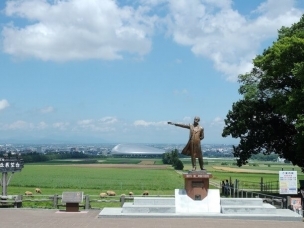 Learn the history and culture of Hokkaido at the best 5 Museums of the North!